Professional looking newsletters and menus are sure to give a good first impression that lasts and businesses looking to print their own in size A3 can learn more about it in this Canon Pixma iX6560 Inkjet Printer review. This printer is very business-like with its capability to create sophisticated designs that catch the attention of any prospective client. It delivers high performance printing with a fast speed that meets universal ISO standards. So you are guaranteed of exceptional quality. It supports a wide range of media forms and sizes that enable printing up to a maximum of size A3. This allows printing of documents and ledgers required by an office or business. In this regard, you can make use of the downloadable Solution Template which you can personalize by adding text plus images and clipart from the web to come up with professional looking documents. This printer integrates a 5-color hybrid ink system, which consists of both pigment and dye based inks that guarantee outstanding colors in both photos and documents. It, also, enables sharp text even as it is printed over an image. In addition to this, this system makes use of individual inks, so, you only need to replace the ink that is used up. This prevents wastage of ink and adds to the cost efficiency of this device. Canon Pixma iX6560 includes the Easy-WebPrint EX which has been enhanced for your web printing needs. This allows you to clip, edit and print only the web content that you desire. You can, first, rearrange the layout before printing. This lets you save more on time and paper. Next, with just a single click, you could reduce or enlarge web content to let it fit into one page. Gray text on web pages can be printed into readable black to make it more legible. With one click, you can, automatically, clip the web page that you plan to print. It has the Auto Fix Technology that edits photos before printing by enhancing skin tones and correcting color cast plus brightness and contrast of lighting background. With the Full HD Movie Print, you can print single movie frames that you capture on your Canon digital camera. This printer, also, allows you to augment resolution for more remarkable prints. To, further, beautify your albums or other mementos, it has the Easy-Photo Print Ex, which helps you choose from numerous high-quality Flickr® images. This printer plus properly installed original Canon inks give you free access to the brand’s Creative Park Premium website by means of the Solution Menu Ex. Here, you will experience a wide assortment of photos and illustrations provided by the world’s well-known artists. With this, you can download free projects and templates to; help you make your own personal greeting cards, among others. Photos that are printed from the Pixma iX6560 are resistant to fade and are designed to last for several generations. This is made possible by the blend of Canon’s inks and with the use of Canon’s original photo papers. It measures 21.61” W x 11.77” D x 6.26” H and weighs 16.76 lbs. It prints with a maximum resolution of 9600 x 2400 dpi and at a speed of 8.8 images per minute for color and 11.3 images per minute for mono. It prints a 4” x 6” borderless photo in 36 seconds. It can support a wide range of media forms such as plain paper, high resolution paper, photo paper pro-platinum, photo paper glossy plus, photo paper with semi-gloss finish, photo paper with glossy finish, matte photo paper, photo stickers, t-shirt transfer-on and envelopes. It, likewise, supports varied media sizes of A3, A4, A5, B4, B5, LTR, LGL, LDR, 4” x 6”, 8” x 10”, 10” x 12” plus #10 and DL for envelopes. It is compatible with Windows and Mac operating systems and has USB Hi-speed connectivity. Canon Pixma iX6560 is your ideal office printer that gives you an edge when it comes to business printing solutions. It delivers high speed performance and excellent quality output that spells professionalism. With this printer, you can create your own newsletters and materials in A3 that would impress prospective clients. It does not take much effort to do so with its downloadable solution templates. The actual speed of a printer isn’t necessarily measured in number. It really depends on the standard used in measurement. The printer’s speed and performance is tested under universal standards. It is ISO certified, therefore, it ensures every user of high quality. With its capability to support a vast array of media forms and sizes, you can, practically, print any image or document you like and at, relatively, fast speeds. With the combination of dye based and pigment inks, you can be assured of either sharp text or colored images and photos. In addition to this, they are available, individually, so you only need to replace the color you need. This reduces waste of ink and adds to its cost efficiency. It incorporates varied innovative technologies that only a leader in digital imaging like Canon can master. It has the Auto-Fix technology that lets you print perfect pictures since you are able to edit and enhance them before printing. Easy Photo Print Ex, further, adds beauty to these photos by inserting Flickr® images. Easy Web allows you to choose only the content that you like to print, but, only after they have been carefully rearranged in a layout. This saves on time, paper and printing costs. With its Full HD Movie Print, you can capture movie pictures on your Canon camera and print them. Furthermore, you can explore with your creativity by making your own personalized cards and mementos with the help of Solution Menu Ex. 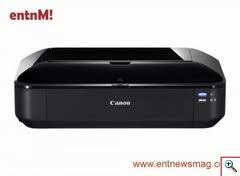 By means of this Canon Pixma iX6560 Inkjet Printer review, you get to appreciate the most important tool to help you in business and, hopefully, this will convince you to invest in it.